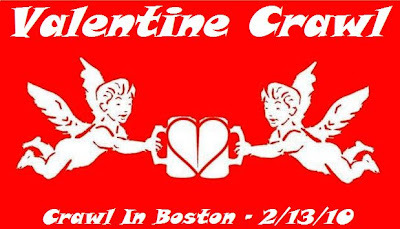 It’s 2010 and we’re looking forward to be bringing you the Valentine Crawl, our most popular event of the year. Who is Crawl in Boston? Crawl in Boston is a social networking group that gives professionals a chance to meet new people in a casual and fun atmosphere. People of all ages have gathered to join the bar crawls, and we’ve raised money and goods for local charities. We also spread the word about other similar events we’ve heard about, as well as new places and bar/restaurant specials. We’re bringing people together, one drink at a time for local charities. Julie’s is a community-based family support and education program that is committed to the development of strong, healthy family functioning. Julie’s breaks the cycle of poverty among low-income, at-risk families by providing services that enable mothers and their children to become healthy, responsible, successful at life, and economically self-sufficient members of their communities. What does this event cost? You don’t have to. We only ask you RSVP on the Facebook event ASAP. This gives us a better idea on how many people are coming. We can better arrange our schedule so the bars have enough staff to accommodate you all. Also helps let us know how many koozies to order. Please wear something red, pink or black to keep in the holiday spirit. If you want to dress as cupid, that’s more than encouraged. The schedule will be released as the event gets closer. Keep checking!